4 Bedroom Detached House For Sale in Hook for Guide Price £625,000. This fantastic home provides an abundance of living space. Downstairs there is a large lounge, dining room, well fitted kitchen, study or fifth bedroom, separate utility room, w.c and conservatory. Upstairs there are four double bedrooms, the master with a very large en-suite and a family bathroom. 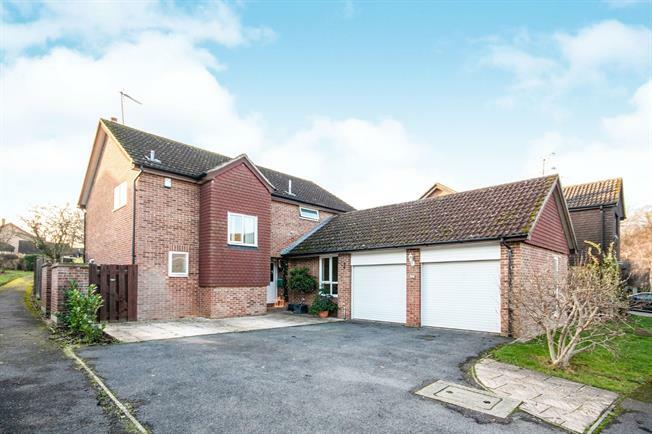 Outside to rear of the property is a secluded garden mostly laid to lawn with attractive surroundings. To the front of the home there is plenty of off street parking and a double garage with internal access to the home. Viewings are highly recommended.